Gardening is something I discovered a deep love for in Colorado. I’ve always loved fields of wildflowers, streams of water with lush vegetation growing alongside it, botanical gardens, and fruit trees, but I never thought I would ever be able to create this sort of beauty myself. Then God moved us to Virginia and nestled us on a hill of two acres of land previously owned by a master gardener. What a joy that we get to invest deeply into this land – weeding, raking, mulching, and watering to cultivate beauty all around us. Our bones ache (especially my 8 months pregnant ones), but every night I turn into bed with a deep satisfaction that I did something today that truly mattered. Mattered to my family and mattered to the beautiful creation God has given us. There is just something primal and rooted in partaking and contributing to the first work ever started on this land. Nature is a place that I feel most alive and I don’t know if it has to do with simply how God created me uniquely or just simply the way we’re all created, but there is a worship of Him and an awe of Him that happens nowhere else for me than when my hands are in soil or observing a bee pulling nectar or listening to the birds sing a simple song of thanksgiving. 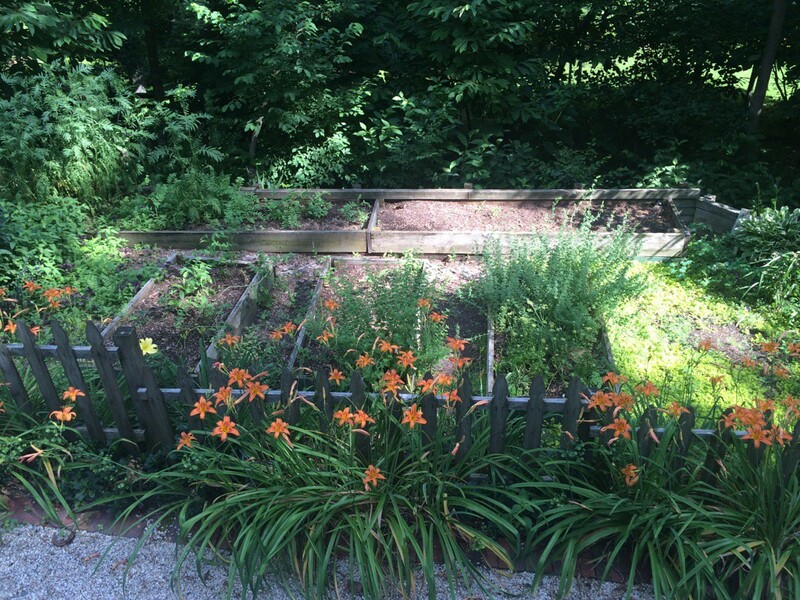 Mark and I started our first ever garden when we lived in a two-story town home nestled in the woods of Tennessee. 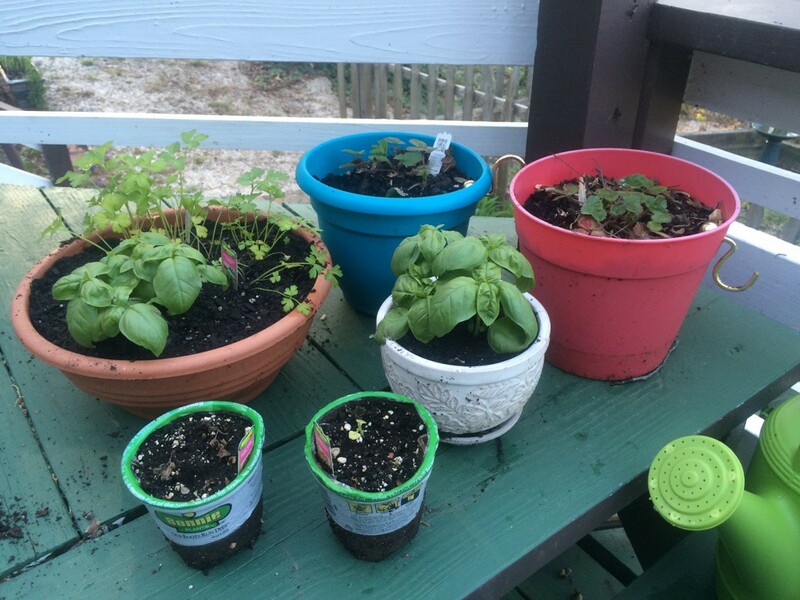 I will never forget that initial investment into learning the ropes of container gardening – actually mostly learning just how hard it is to grow vegetables and herbs! They say it’s easy, but God says it’s work. You can’t expect it to be anything short of hard work to reap a harvest of food for your family. The watering alone can wear your bones thin and leave you panting in the heat of summer. We learned this truth the hard way. Never again will I expect to reap a harvest without blood, sweat, and tears to boot. 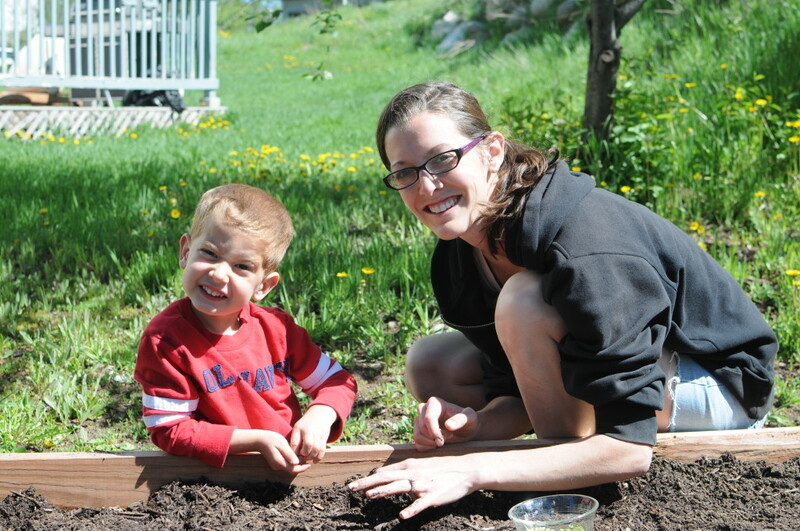 We learned a lot from our over-ambitious container garden, and took those lessons with us to Colorado where we attempted to grow our own food in the summer of 2013. So, the next Memorial Day weekend, I made a plan for a new garden (you can see what we planted here). Again, I found myself more frustrated than successful, but again I learned more about growing vegetables and made hasty notes here and there throughout the summer. 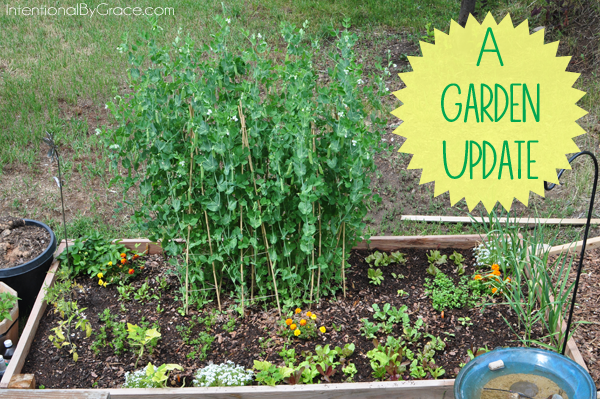 We very successfully grew garlic and peas that year. 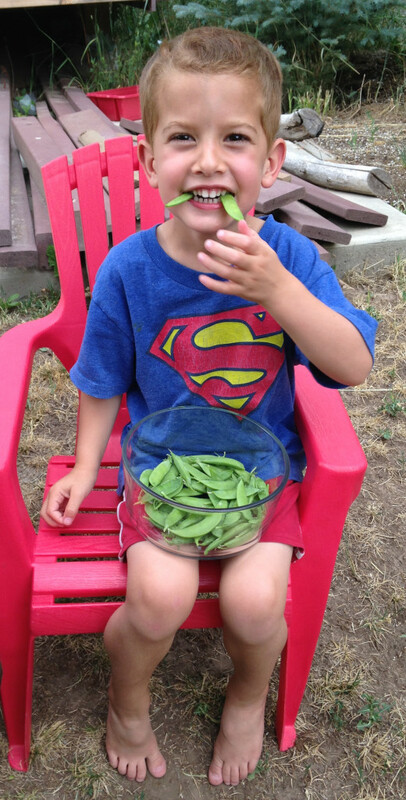 As a matter of fact, we had the biggest, most voluptuous peas on the block (several families in our neighborhood had small garden beds, so we all shared notes and stories all summer long!). We ate a few strawberries fresh off the vine and even enjoyed several salads complete with a radish or two. 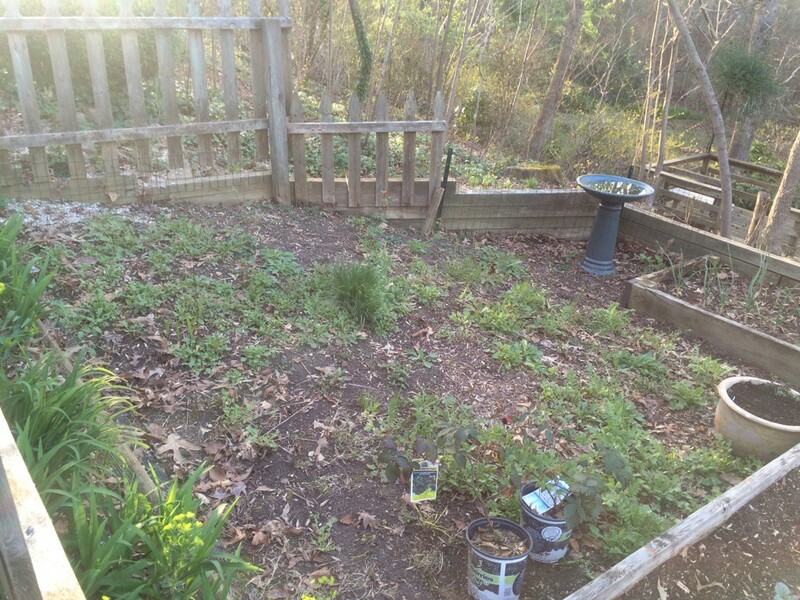 We enjoyed a butterfly garden and herbs, and added another small bed to cultivate the next year. We planted a grape vine and apple trees, and boy did we enjoy the beautiful flowers native to the area that we were able to snag from discount bins and occasionally the full price splurge. Of course, God moved us and we never got to enjoy the additions to our small postage stamp piece of land, but that’s neither here nor there. We continued to work and invest and learn. A lot. We learned a lot. Now, here we are – planting time again in a new town, a new zone (7b to be exact), and a beautiful kitchen garden just waiting for us to give vegetable gardening another go! This is our first year in our new home and we look forward to developing this land into our simple vision of sustainable living. There is no shortage of ideas, but first … the vegetable garden. This is what the kitchen garden looked like when we moved it. It was a whole lot of growth … overgrowth! 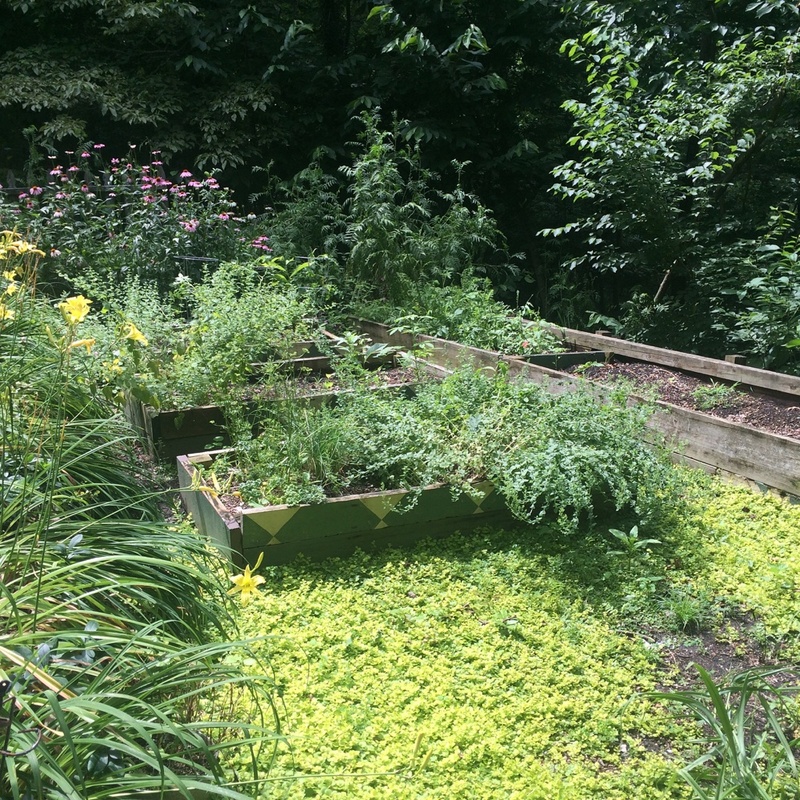 And weeds … and overgrowth. Did I say that already? But I knew that a little lot weeding, tending, and hard work, it would give us a chance at growing our own food the next year! 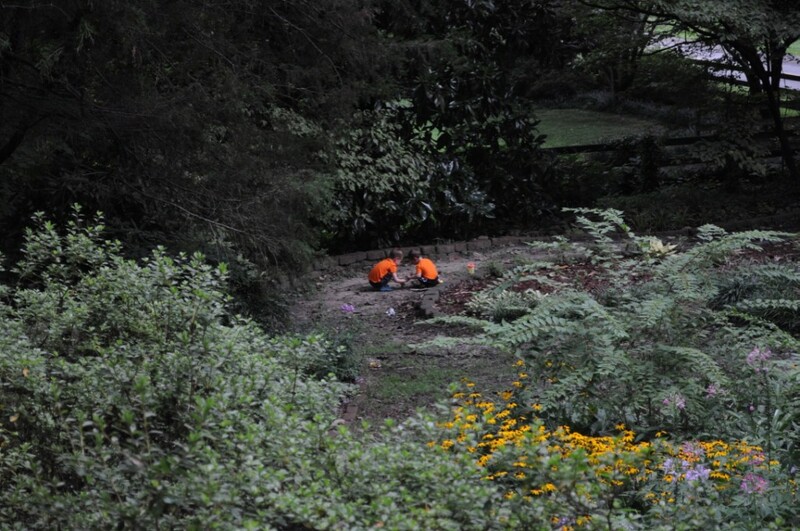 the entire area is fenced in and apart from a few repairs, I think we should be able to keep out the rabbits and other critters that like to eat from our garden. This reminds me, we do need to add a scarecrow. With the help of the boys (big and small), we’ve done a lot of work to clear the beds, fertilize, weed, rearrange, and manage. On the right hand side, I added edging fence to help us know where to keep the plants contained. Growing on the far right of the fence are various bee and butterfly attracting flowers along with oregano and lemon balm. To be honest, I don’t know what all is in there … we’ll have to wait and see. In the containers, I’ve planted cool weather lettuce and will be adding Swiss chard to the middle pot tomorrow. 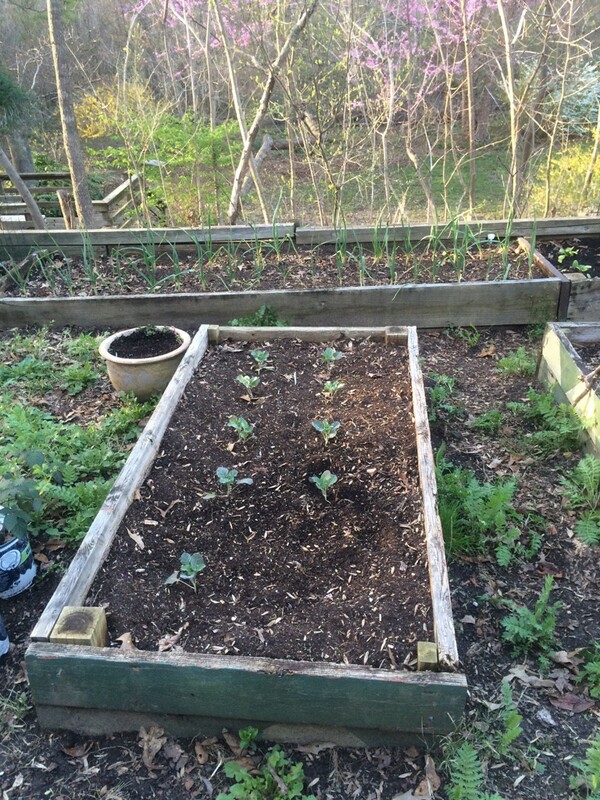 There are currently five raised beds left from the previous owners. Three in the middle and two along the backside. 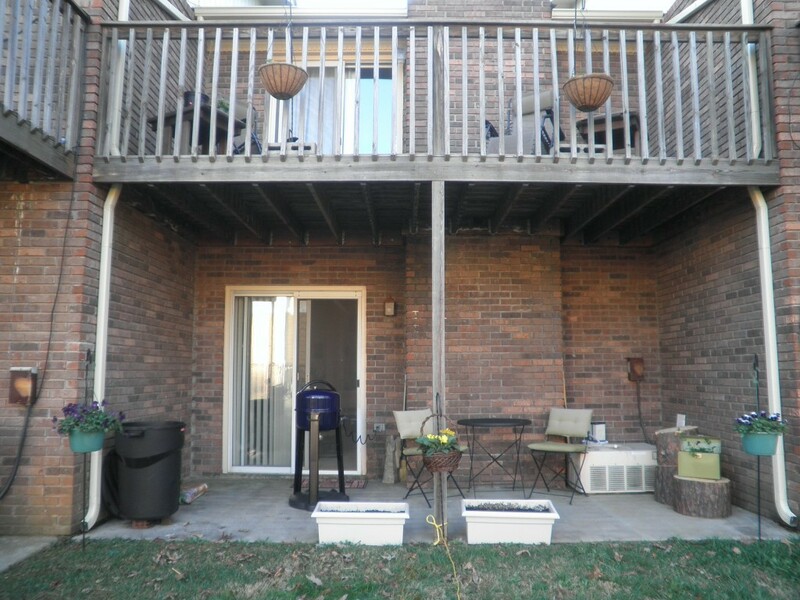 The first one (on the right) is an herb bed. The previous owners left some healthy oregano and chives. I did split off the oregano and added it to the edging for cover last fall, but it still crept back into this bed which is fine. It’s smaller and more manageable! There is a sad sprout of rosemary thinking about coming up along with lemon thyme growing in the far back right corner. I added lettuce to the bed just today, and will be adding some Swiss chard tomorrow. The second bed currently has something growing that smells like mosquito repellent which was left from the previous owners. I need to make a positive identification on this one. I’ve added carrots and lettuce, and will add pole beans after the threat of frost has passed. I’m hoping the timing of the lettuce and beans will work out the way I want it to giving me room to plant more beans after we harvest the lettuce. The bed along the backside is waiting on peas to go in (seeds are soaking) and I’m experimenting with some spinach. I’ve never successfully grown spinach, so I got a few plants to see if I can’t toy with them this year and maybe get one successful plant at least! I’ve already discovered the soil is nitrogen deficient, and I’ve treated the area in hopes of saving my poor little seedlings. Thankfully peas will replenish nitrogen in the soil so that will help the bed for future planting! The third center bed grew a few nice tomatoes last year. This year I wanted to try broccoli so I added it to this bed. Broccoli and spinach are my two experimental plants. I’ve never successfully grown either, so we’ll see. I was very intentional about only allowing myself two plants that I’ve never tried before or had success with. I’ve learned my lesson about taking on too many new plants at one time. The back bed currently has garlic growing. I used some organic garlic from Trader Joe’s which might be a no-no. I don’t know. 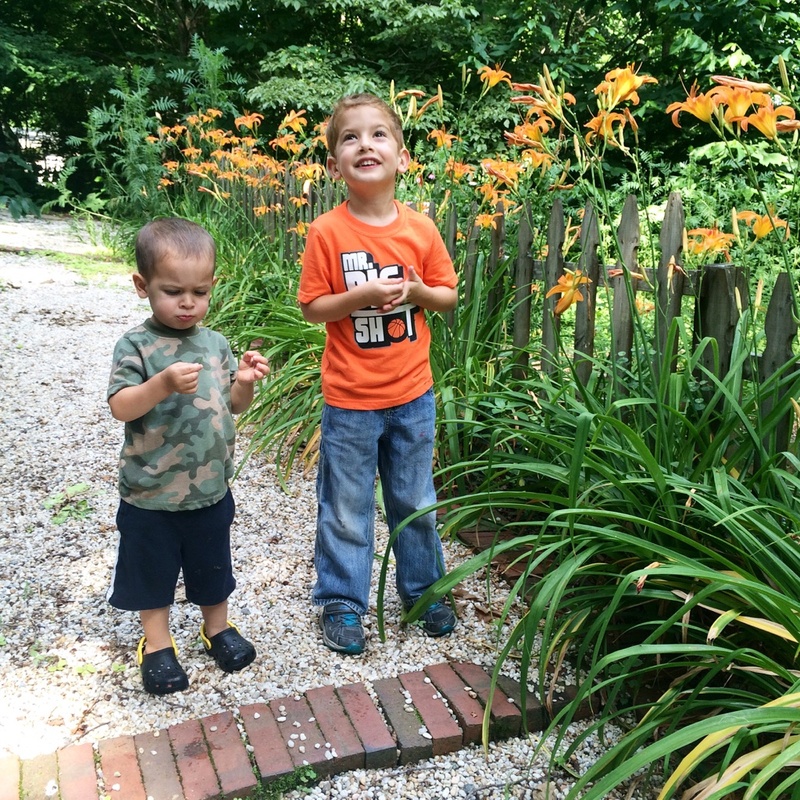 They weren’t “planting” bulbs, but they’re growing so … maybe it worked? This section was filled with purple cone-flower last year. Which I have to admit was very pretty and attracted loads of butterflies. 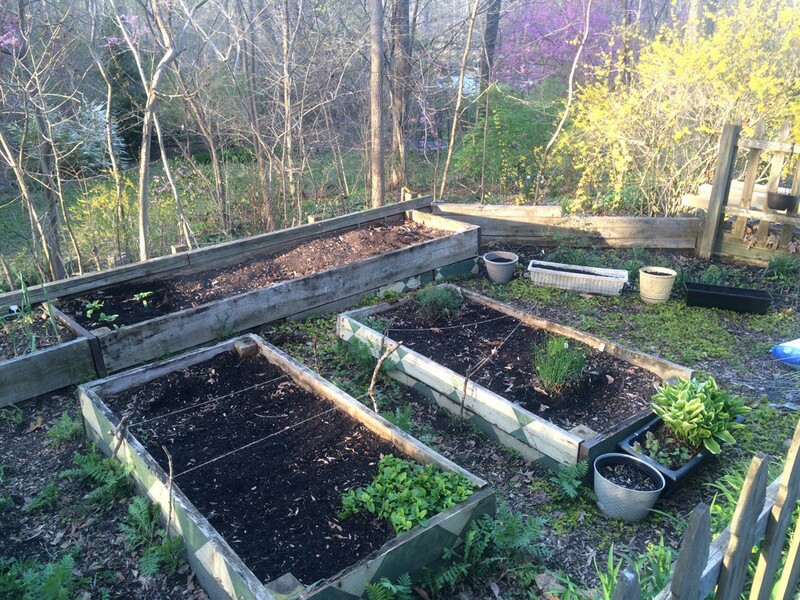 You can see it in the background in the first picture of the kitchen garden (the one that screams OVERGROWTH!). But look at all that space that could be used for food! We’ve decided to relocate as much of the cone-flower as we can to other areas of our home (we have 2 acres to play with), and add a couple more raised beds. 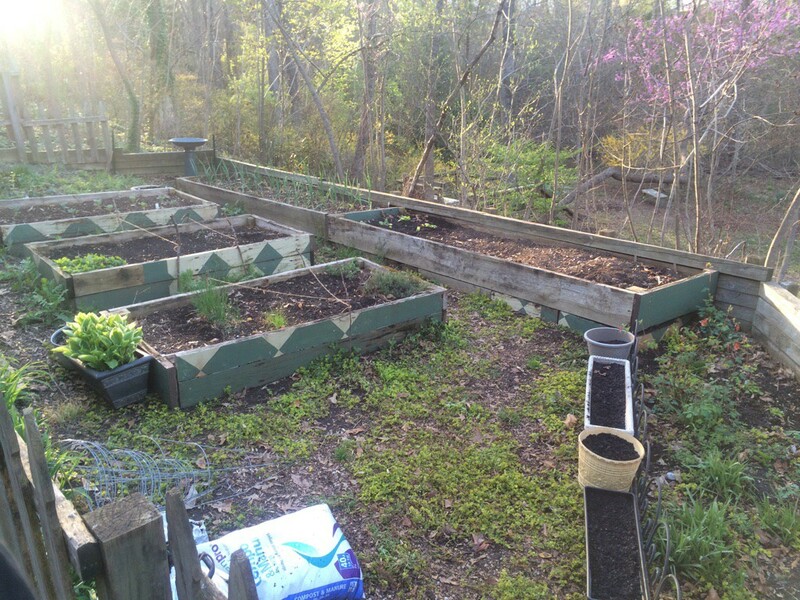 We have a blackberry bush that might work along the fence line (this is likely wishful thinking, but we’re going to try), and the additional bed will allow us to plant some tomatoes and peppers. There are so many beautiful flowers growing along the fence line (both sides) and I plan to pepper a few more throughout the garden in containers that I don’t think eliminating the cone-flower overgrowth will matter too much for pollination. I imagine this section will take us a couple of years to get right though. Side note: The above picture was just last summer. How have the boys already grown so much? I can’t wait to snag a picture this June of them standing in this exact spot! Sam was 4 and Timmy wasn’t quite 2 yet. I suspect that we might have an elderberry bush growing wild, but I don’t trust my judgment just yet. If so I want to take care of it and hopefully harvest some of the berries for next cold and flu season. The blue and red pots in the picture above are strawberries that came back from a random planting last year when we lived with the in-loves. I would love to get a nice row of strawberries growing somewhere on the property, but first I have to figure out how to keep birds and other animals away. Or at least know how many I need to plant to ensure enough fruit for all of us. There’s still too much I don’t know about strawberry growing to waste the few strawberries the boys might enjoy from these little babies. The joy on their faces when they get to pluck a strawberry is worth waiting to learn more. That’s what we have growing food-wise right now. That I know of. Ha! There’s still so much of this property yet to be discovered. We are still identifying trees, bushes, and flowers. I smell something like peppermint growing in one of the back side yards, but I can’t seem to pinpoint where or what. I’ll try to get a full tour of the property soon, but I needed to make sure I recorded our kitchen garden for now. I’ll be using this blog to keep track of all the changes we make in the weeks, months, and years to come.